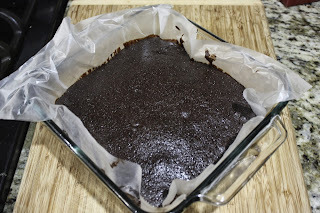 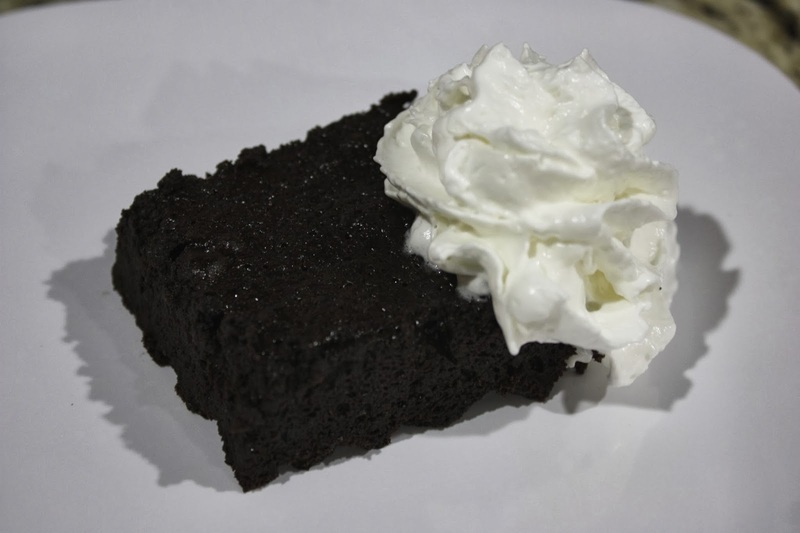 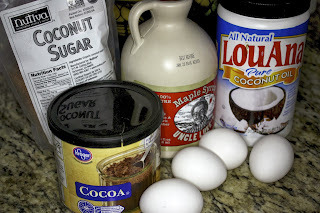 I was looking for a flourless brownie that did not contain any other "flours" like almond and coconut, because I generally try to avoid these recipes, I'd rather make the original thing then some concoction made up of $20 "flours". 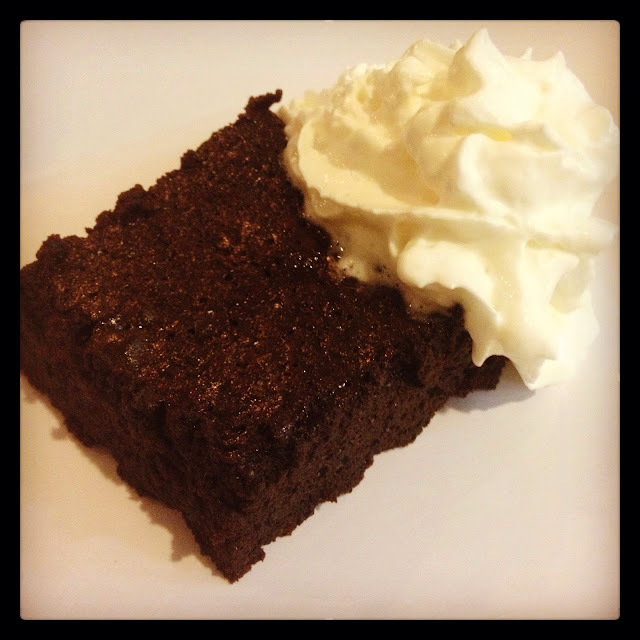 I came across this one of Facebook and made a few changes to make it sound better and came up with this lovely fudgey brownie that I can feel good indulging in occasionally. 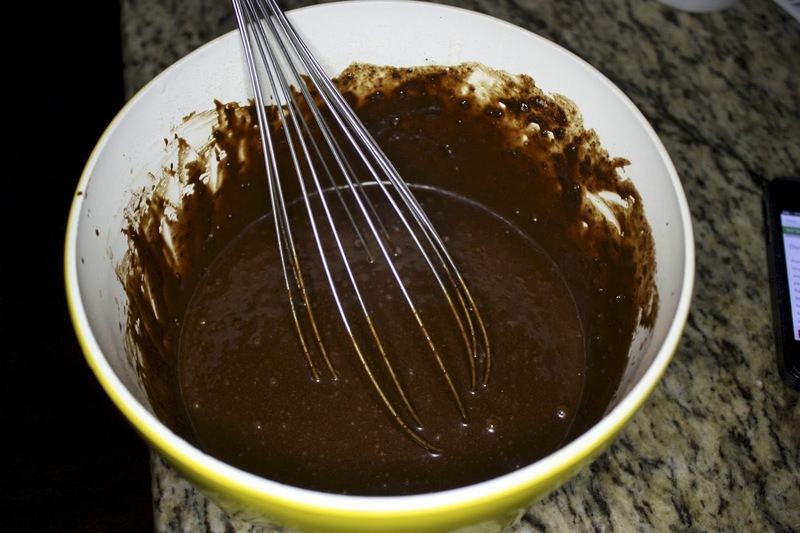 In a bowl, mix all the ingredients until velvety smooth using a whisk, you do not need to worry about over mixing as there is no gluten in this recipe. Pour into a parchment paper lined pan. Bake for 25-30 minutes. They will be soft in the middle at 30 minutes and have a slight jiggle. 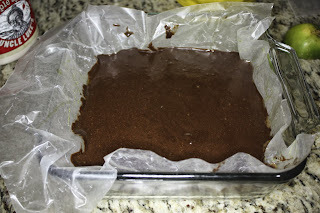 Leave to cool and set for 4 hours or place in fridge for 30 minutes.